Picture the pretty pink cherry blossom trees in full bloom during spring. Now imagine it in a burger. 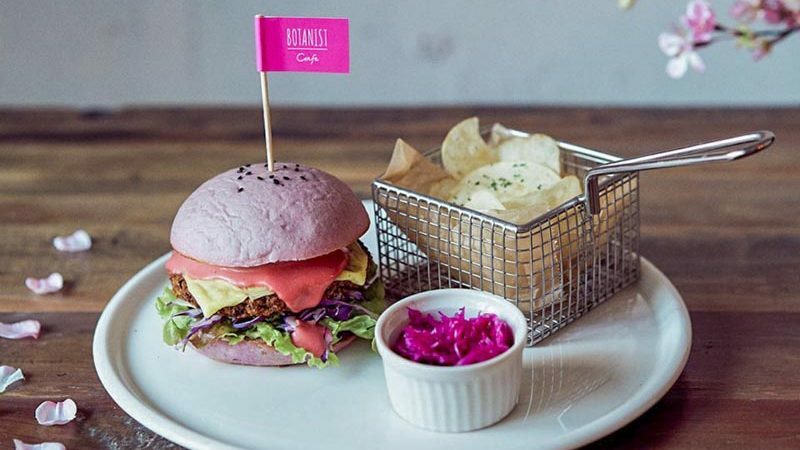 Japan’s beauty brand Botanist is now offering such a burger in their new sakura-inspired menu, catered to vegans and vegetarians. 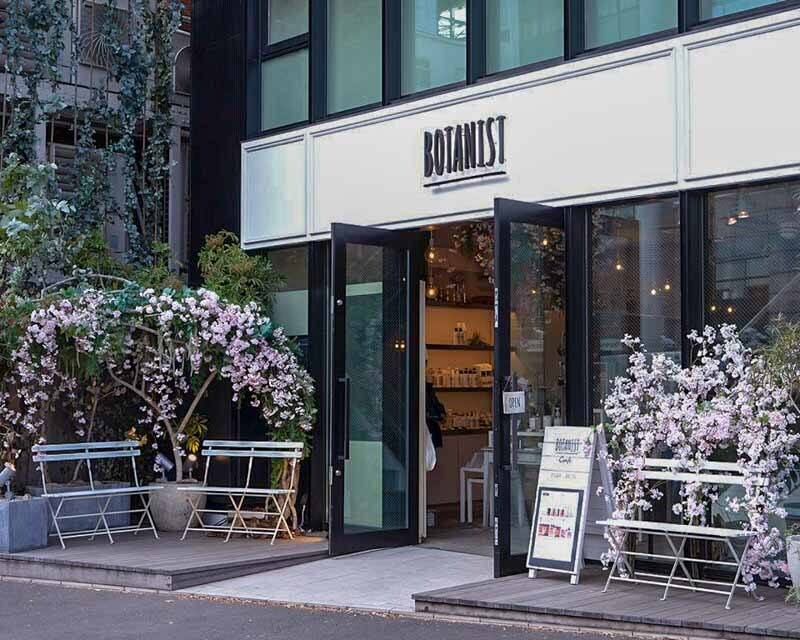 As a beauty store and café on the trendy streets of Harajuku, Botanist operates on two floors. Their range of beauty products are made entirely from plant-based ingredients and are available on the ground floor. 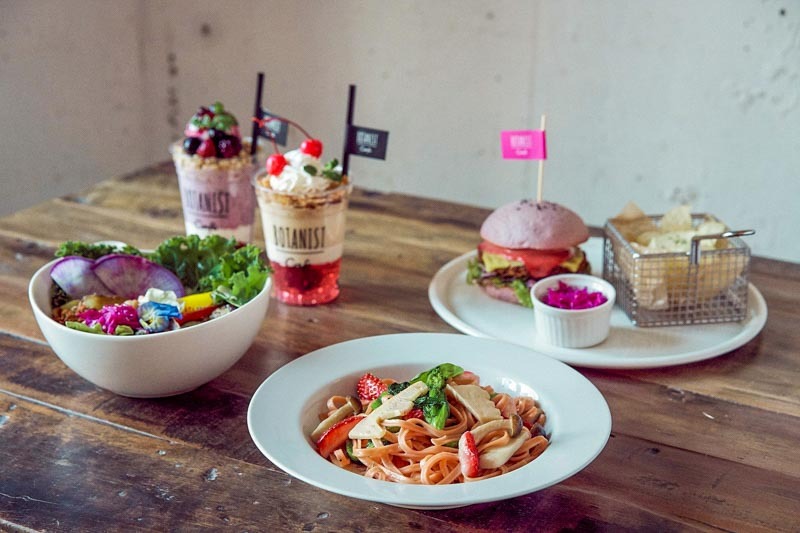 Their nature-inspired café is on the second floor, complete with a menu offering vegan and vegetarian options. With spring coming, they’ve recently released limited-edition sakura-inspired foods. Their vegan Sakura Burger (JP¥1,400) is arguably the most worthy mention. It comes with a delectable soy patty, topped with a slice of vegan cheese and drizzled with their homemade sauce in-between soft pink buns. The burger comes with a side of chips and slaw, together with a drink of your choice. If you’ve got a bit of a sweet tooth, we know that the two smoothie additions to their new menu will definitely call out to you. Ever wondered what spring tastes like? 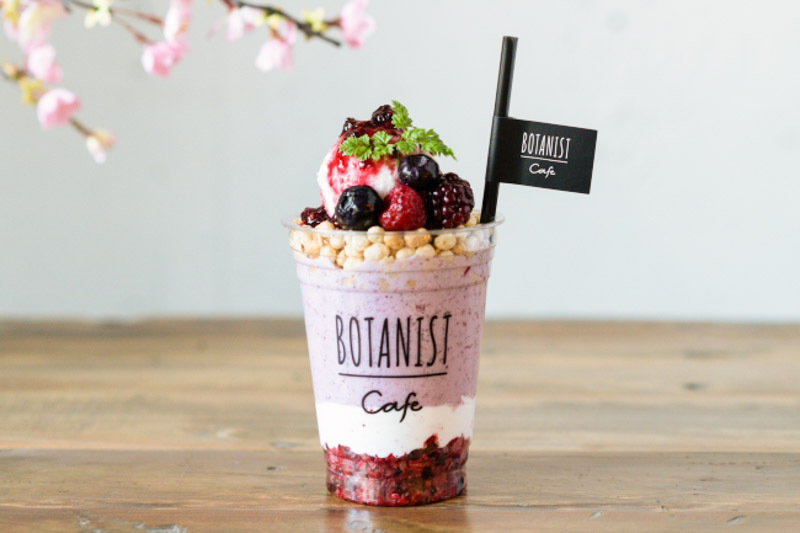 Find out with their Smoothie Bonbon Sakura x Berry (JP¥1,000), which supposedly tastes like cherry blossoms, berries and sakura ice cream. As someone who has always been sceptical of vegan or vegetarian food, I never understood how a meal can be tasty without meat. That said, I’m sure this spring-themed menu will give meat-lovers a fresh perspective on vegan and vegetarian food. If you’re popping by Japan this March, be sure to complete your springtime experience with this pretty sakura-inspired menu.